The Department of Social Welfare and Development (DSWD) will lead the ceremonial signing of the Implementing Rules and Regulations (IRR) of Republic Act (RA) 10868 or the Centenarians Act of 2016 on Monday, September 26. As part of the annual Elderly Filipino Week, October 1-7, the first Sunday of October is also declared as National Respect for Centenarians Day during which, all Filipinos who have turned centenarian in the current fiscal year shall be awarded a plaque of recognition and a cash incentive by their respective city or municipal governments in appropriate ceremonies in addition to the Letter of Felicitation and centenarian gift. 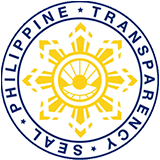 Aside from DSWD, other agencies involved in the implementation of the law’s provisions are Department of the Interior and Local Government (DILG), Department of Health (DOH), and Commission on Filipinos Overseas (CFO). “The passage of this Act is a tribute to Filipino centenarians who have spent their lifetime in contributing to nation building,” Secretary Judy M. Taguiwalo said. “Ang mga nakatatanda ay nararapat na ating paglaanan ng respeto at tunay na malasakit (Older persons deserve our respect and true concern),” she added. Sec. Taguiwalo also said, however, that while this latest law is good, more efforts should be done to strictly enforce already long-existing laws that aim to protect senior citizens who are among the most vulnerable members of society. She said that the sorry condition of many public health care facilities in the country and the exorbitant costs of medicines contributes to the sorry and painful plight of thousands of senior citizens in the country. She also appealed to local government units all over the country to ensure that their welfare desks and departments give priority to the needs of senior citizens and give them what is due them. “One of the signs of a compassionate and humane society is its responsiveness to the needs of its elderly members. There is so much to be done to protect our senior citizens and we do them a great disservice when we do not follow and implement laws and programs that have been crafted and passed previsely to help them,” she said.